Just for fun: 5 fab framed photo prints of Charley to give away! We’re marking the end of our 5th birthday celebrations by giving away five fab framed photo prints of Charley – the cheeky monkey we named our company after. To enter the giveaway simply head over to the Charley Chau Facebook page (www.facebook.com/charleychau) and like the giveaway post pinned to the top of our timeline. It also helps us if you comment on the post so that we can reply to your comment to let you know if you are one of the winners! If you don’t have a Facebook account you can create one free of charge at www.facebook.com. This is a fun giveaway so we will try to keep this brief! No purchase is necessary to enter the draw and the giveaway is open to everyone wherever you are in the world. To enter simply “like” the giveaway post on Charley Chau’s Facebook page by 8.00pm BST on Monday, 31 August 2015. It helps us if you comment on the post so we can reply to let you know if you have won but commenting is not a condition of entry into this competition. Sharing is not a requirement for entry either but if you feel like sharing then please do! 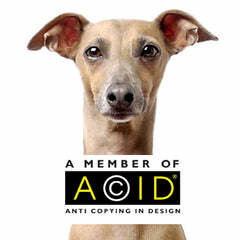 The prizes on offer are five framed photo prints of Charley, the Italian Greyhound that we named our company after. Each photo print is A3 size (29.7 x 42cm) and framed in an aluminium picture frame in black and glazed with glass. No cash alternatives or product alternatives are available. Five winners will be chosen at random and announced on Facebook at around 8.30pm on Monday 31 August 2015. If you are one of the five lucky winners you can claim your fab Charley photo print by messaging Charley Chau via Facebook using the Facebook account that you won with within 48 hours of the winners’ announcement. Please include your full name and the delivery address for the framed photo print of Charley. And we will send you your fab framed photo print of our very handsome little Charley!